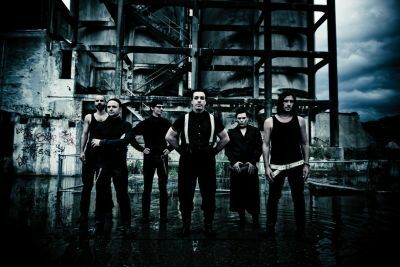 Rammstein have today announced that they will be coming back to the UK all guns blazing next year to headline the Download Festival on Sunday June 16, 2013. This will be the first time ever that the German industrial metallers will have played at the legendary Donington Park. Weekend tickets with camping go on sale 9.00am Friday, September 28 from www.downloadfestival.co.uk. Download 2013 takes place at Donington Park from June 14-16. With over 15 million album sales worldwide, several world tours and a collection of music awards under their belts, Rammstein are back to do what they do best and bringing their awe-inspiring live shows back to these shores. The German monsters of rock last played the UK earlier in the year with critics describing the tour as “spectacular”, and ‘a ferocious “industrial music hurricane”. This performance at Download 2013 is sure to rock Donington to its very foundations.